Mazda has lifted the lid on a special 30th Anniversary Edition of its popular MX-5. Celebrating three decades since the launch of the original MX-5, the 30th Anniversary Edition. Just 3,000 models will be sold globally – and the UK has been allocated 600 units from that figure. Revealed at the Chicago Motor Show, the limited-run model benefits from a striking Racing Orange body paint, contrasting the forged aluminium Rays wheels developed exclusively for the model. 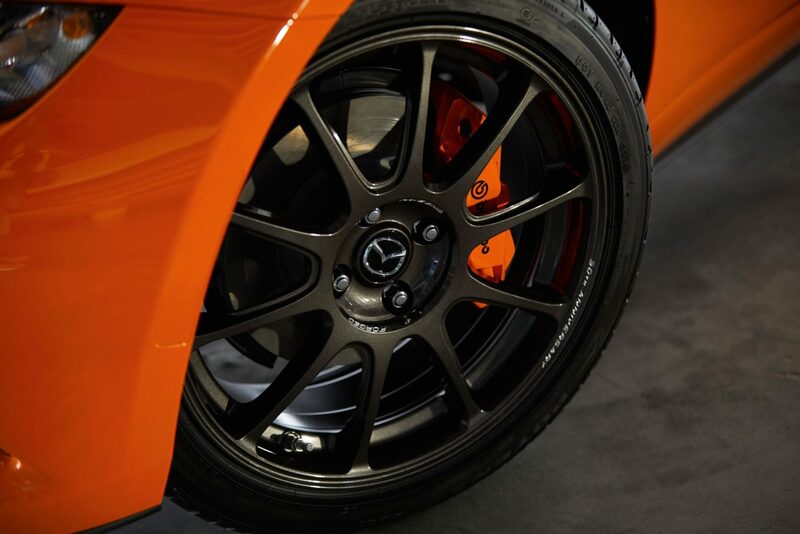 Orange brake callipers complement the car’s exterior shade, and UK models benefit from performance Brembo front brakes, too. Inside, you’ll find a variety of accents matching the body colour on areas such as the seats, dashboard and steering wheel, while Alcantara has been used on the door trim and instrument panel. Jeremy Thomson, Mazda Motors UK managing director, said: “In the three decades since the launch of the original model over 130,000 Mazda MX-5s have been sold in the UK. This is a sports car that has resonated with enthusiastic British drivers ever since its debut and four generations on it’s as popular as ever. All cars get a 2.0-litre petrol engine with 181bhp driven to the rear wheels through a six-speed manual gearbox. 30th Anniversary models also benefit from Bilstein dampers, a strut-brace and a limited-slip differential too.